At Catchfire, we love working with brands with rich history. 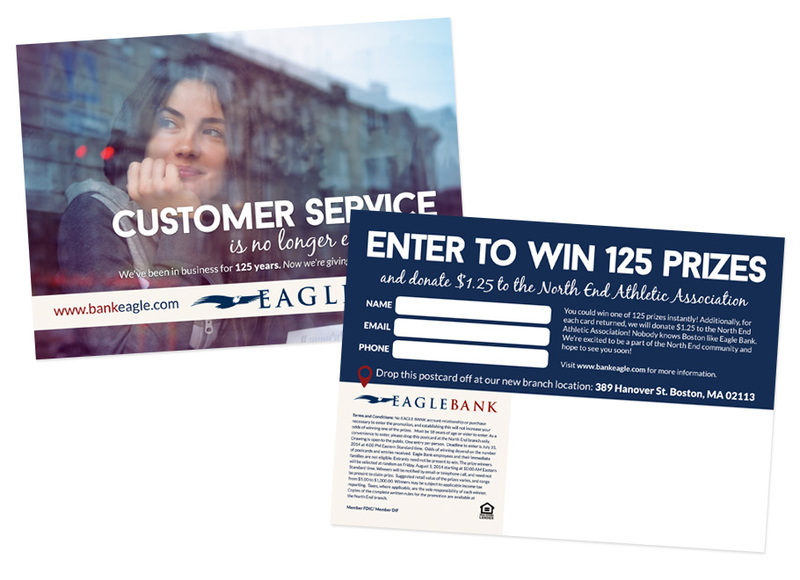 Eagle Bank has been servicing the greater Boston area for 125 years through exceptional customer service and a personal banking experience. 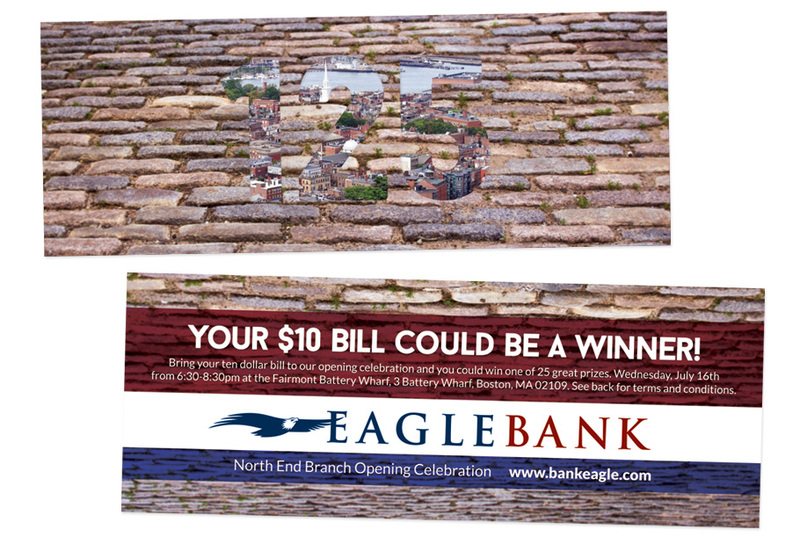 What better place than Boston’s iconic North End for Eagle Bank to open a new branch? 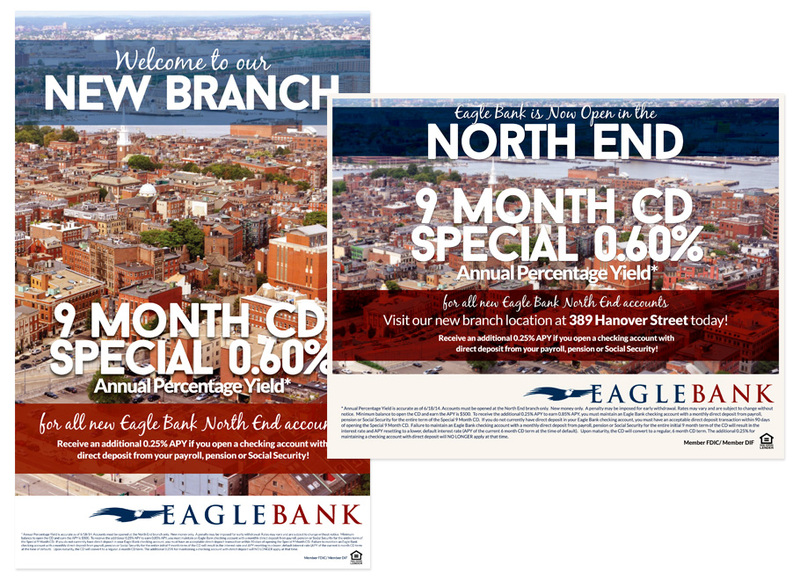 In addition to the branch opening, we also worked on promoting the Grand Opening celebration for the current and potential business accounts. 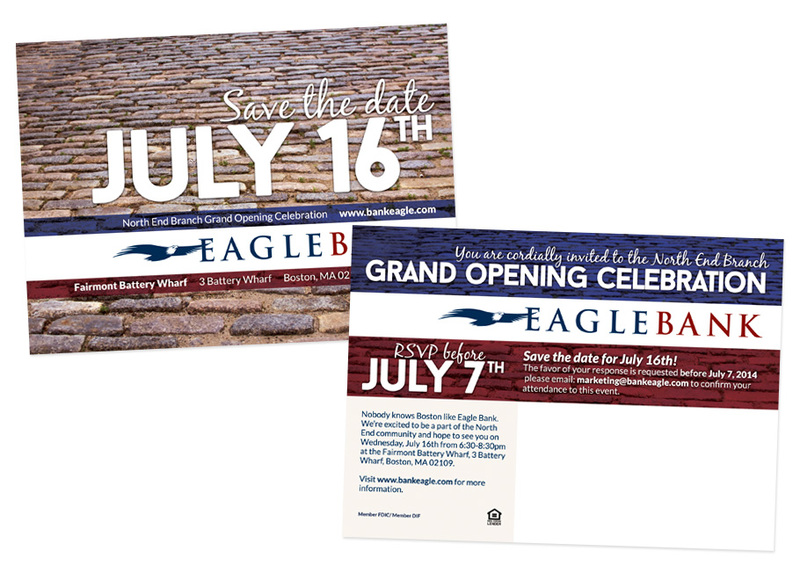 We developed a customized direct Mail Piece to drive attendance at the event. 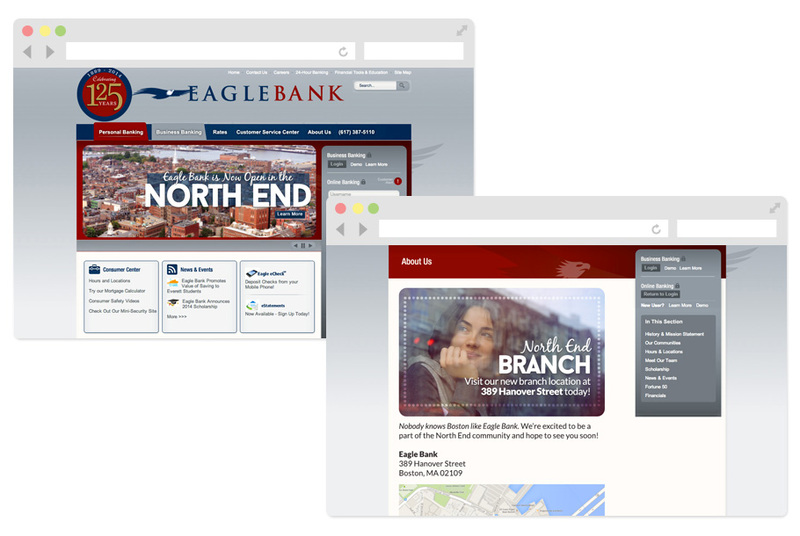 Looking to drive intelligent awareness for your brand? We would love to learn more about it! Feel free to drop us a line or give us a ring at 603.373.8971.